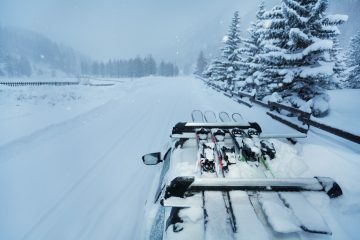 When driving to the slopes, most skiers Velcro boot straps together and toss the ski boots in the car. 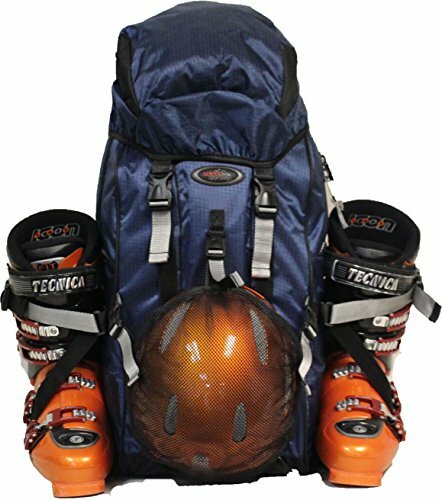 But if you are traveling by airlines, ski bus, or hauling gear up several floors in an elevator-less old ski lodge, you may want to consider a ski boot bag. Bags make carrying a clunky, heavy pair of ski boots easier. With that in mind, our goal at The Adventure Junkies is to help you choose the best ski boot bag. 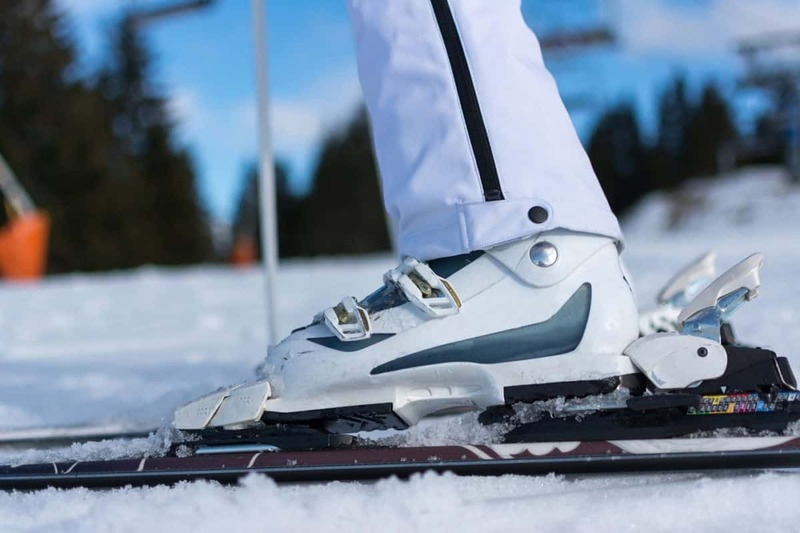 Carrying your ski boots in a bag will protect them during travel, even in a car. Bags keep the boots from getting scratched, gouged, or filled up with spilled coffee. They also eliminate the chance of dropping a boot in the snow or mud. 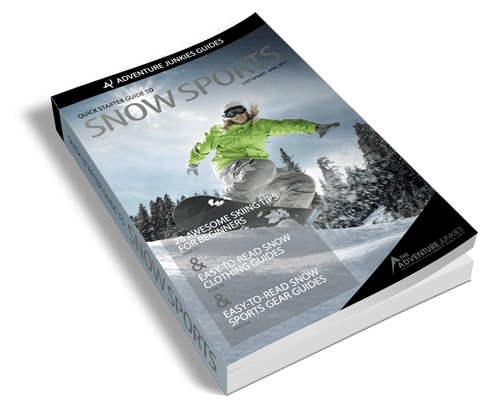 In order to choose the best ski boot bag to meet your needs, read on for our suggestions, things to consider, and bag reviews. Ski boot bags are usually soft-sided but designed to protect ski boots and gear from getting thrashed during travels. Since traveling is awkward with two pieces of equipment as clunky as downhill ski boots, bags styles are constructed in a way that makes the job of carrying the gear easier. Traditional boot bags have an odd shape, cut high on one side to fit the calf part of the boot and low on the other side to fit the toe part of the boot. From the side, they are trapezoidal in shape instead of square. Bags styles can be a cross between a handbag and soft luggage with handles and a single shoulder strap. 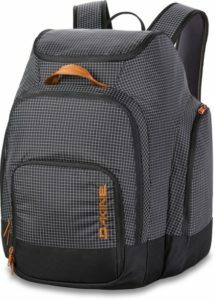 Some bag styles model backpacks with shoulder straps, a chest strap, and a waist strap. Strong exterior fabrics made from polyesters or synthetics add protective layers to ski boot bags. These are often tough water resistant or waterproof-coated fabrics. 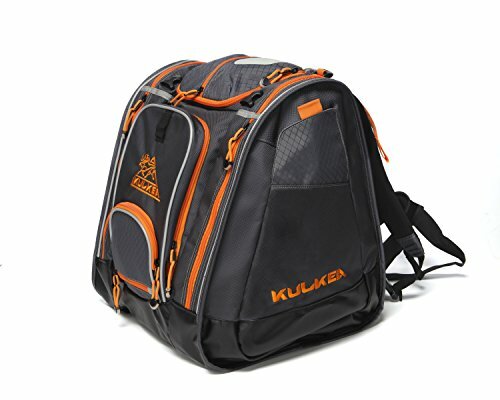 Look for a few perks in higher quality bags, such as padding and interior lining. 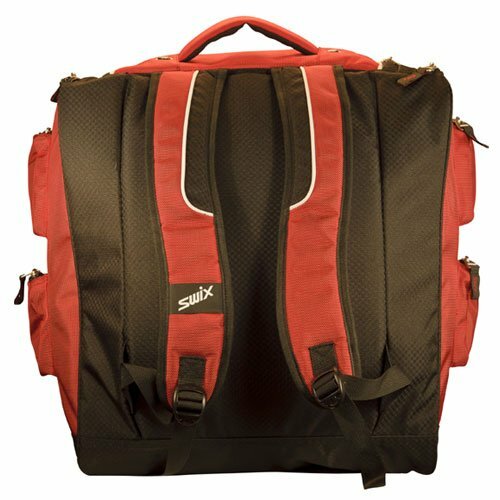 Ski boot bags without padding are best for car trips or carry-on luggage. Boot bags with padding are better as luggage to be checked with the airlines. Pack cloth fabrics vary in strength and durability by the density of the threads. That’s called denier. Denier with low numbers is a loosely woven cloth; high numbers indicate a tight weave. The latter weave with higher numbers is stronger and more durable. Denier that is rated “ballistic” is the strongest. When buying a ski boot bag, check the zippers. Small zippers can rip out after just a few uses. 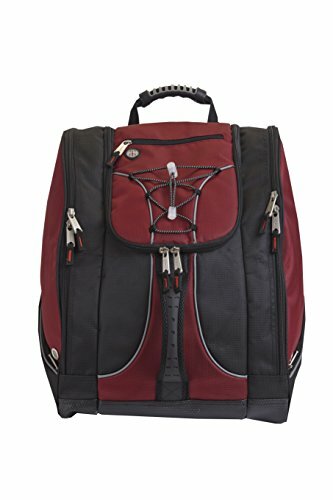 Be sure the zippers are beefy and solid enough to hold up for many uses. Avoid overstuffing boot bags to protect the zippers and seams. Most ski boot bags are made to fit one pair of boots and come in only one size, which may not fit all boots. Before ordering a bag online or shopping in person, measure your boots. Check both the boot length and height to be sure the bag can accommodate them. Better yet, take one of your boots to a ski shop to test the fit. 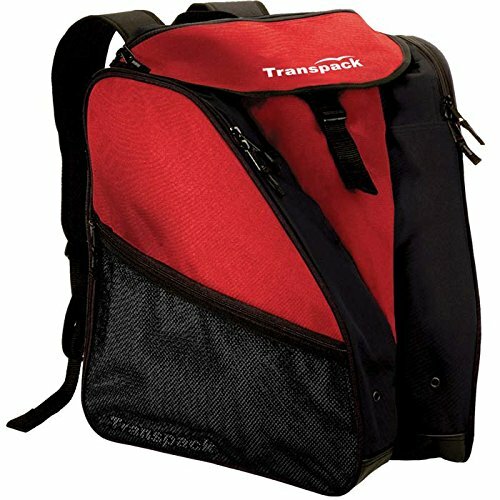 Some boot bags are designed to carry other gear, such as helmets, gloves, hats, jackets, and even tablets or electronics. Savvy travelers also pack smaller squishy gear inside the boots. 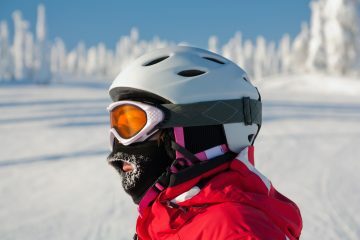 For more efficient packing, squeeze socks, glove liners, hats, and neck gaiters inside each boot. 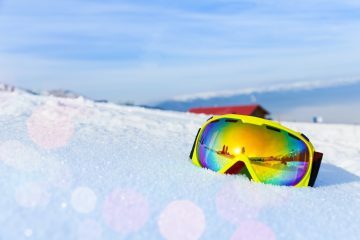 Some skiers can also fit their goggles inside their boots. Snow clings to ski boots, and sometimes you must pack them wet. That’s why ski boot bags add drainage and vents. These are usually grommets that serve a dual purpose: they drain water droplets out of the bag and allow moisture to evaporate. This venting helps reduce the potential for the bag or the boots to grow mold. However, do not rely on these grommets to be sufficient to dry out boots. Before slinging the bag with your boots into the closet until your next ski trip, dry your boots out completely. If the bag is wet, wipe it down and hang it to dry before packing your boots back in it. Most ski boot bags are black. The dark color helps conceal the mud and grease that may get on them during travel. But for those who check boot bags with the airlines, a black ski boot bag may not stand out on the carousel. To speed identification in the airport, tie a colorful piece of webbing or a special tag around one of the handles. A few boot bags come in bright colors that make for easier identification. 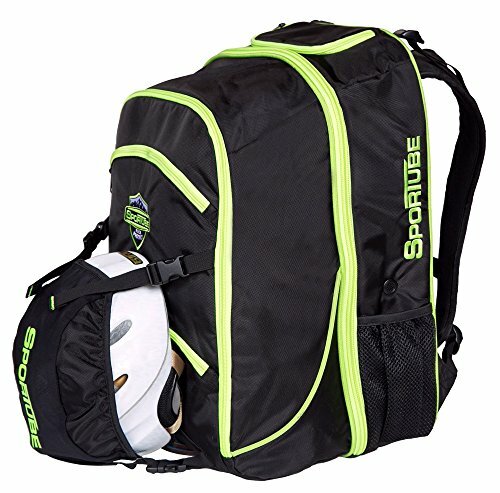 A few companies make ski boot bags to match their ski bags. Ski boot bags may have one big compartment or multiple compartments. Those with only one compartment create a bag where small gear gets lost amid the big boots. Sometimes, interior buckle straps will secure the boots in place. Bag models that separate each boot into its own compartment stay more organized. This tactic also creates a third compartment for things like a helmet, goggles, gloves, and a jacket. 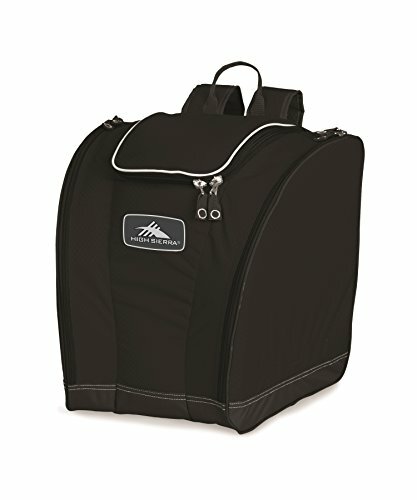 Higher end ski boot bags have added exterior features. Pockets are usually small. But they work for socks, gloves, mitts, neck gaiters, hats, skins, avalanche beacons, and small electronics. Do not put goggles in exterior pockets as they can get smashed during travel. Nylon-webbing exterior handles help in lifting the bags in and out of vehicles. Higher quality handles will have added padding on the webbing for comfort. 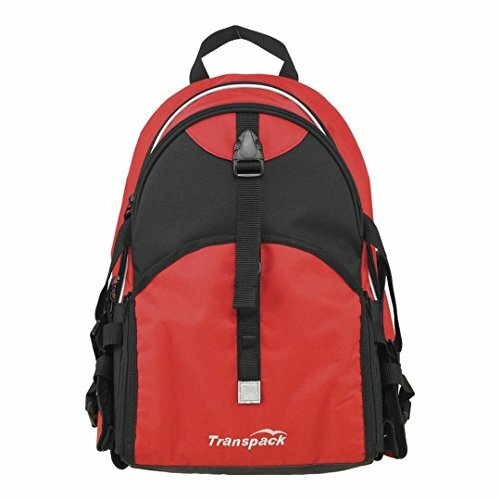 Higher quality backpack-style shoulder straps will also be padded and contoured. Some ski boot bags include exterior bungee cords. These add a place to secure a wet jacket or ski pants. Technically, many ski boot bags do not meet the airline requirements for carry-on luggage. They are too bulky to fit under the seats or in overhead compartments. On airlines with larger overhead compartments, some ski boot bags will fit. Before flying, consult with your airlines about carry-on baggage specs to see whether your bag will fit under the seat or overhead. If your bag will not work as a carry-on, ask if the airline has gate-checked baggage services. Gate-checking can always accommodate ski boot bags. Most airlines flying to airports near ski resorts count a ski bag and a ski boot bag as one piece for checking luggage. But not all. 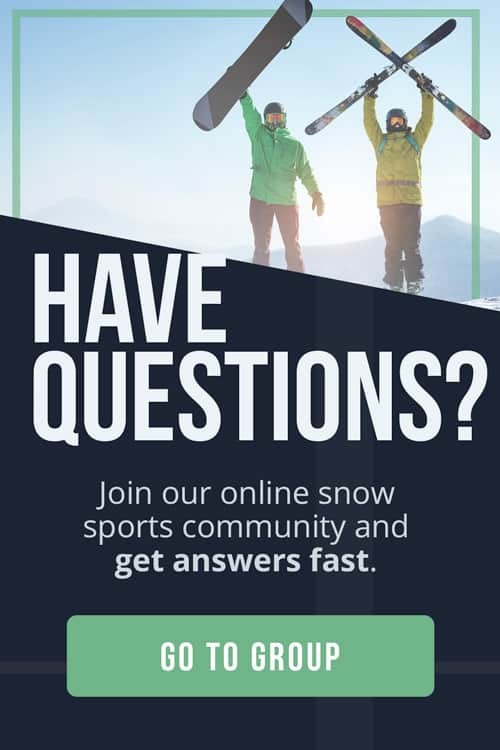 You’ll need to verify your airline’s policy on ski gear.